Novelty of novelties, Alex and I have things set up now so that every 3rd Friday we get a day off together, with no boy to look after. Provided no-one is sick. Which means we’ve only pulled it off three times so far. But still! 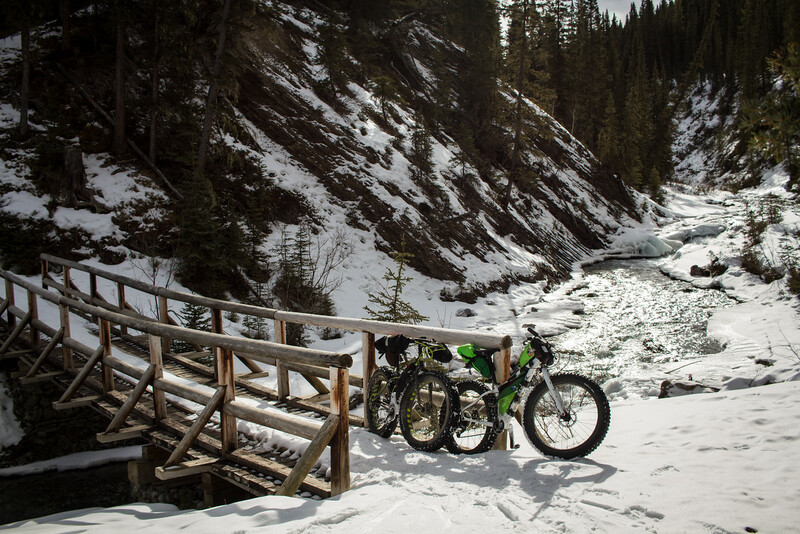 This particular bike date day, we opted to ride to Banff on the fat bikes, via the pass, then the bumpy and frozen Goat Creek trail. By the time we hit Banff, the day was really warming up. We ventured out towards the Tunnel Mountain trails, but pulled the plug when we saw how muddy they were. Then it was back home on the bus – luxury! This unnaturally early spring is making for a confusingly early shoulder season – I’m a little bit worried about what weather summer might bring. 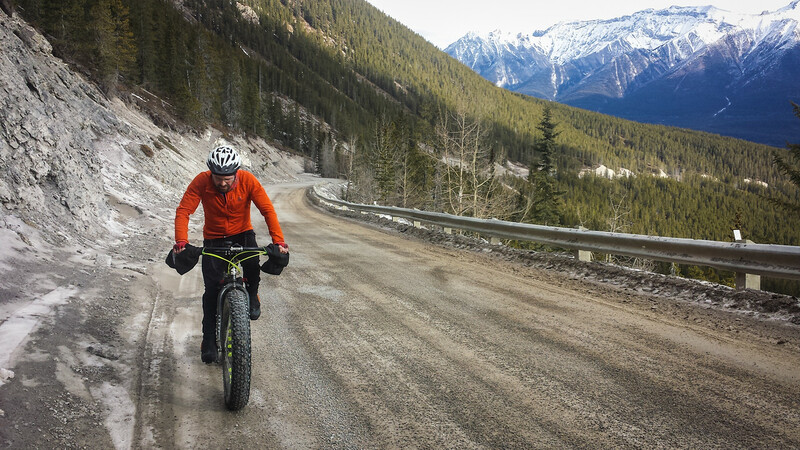 What pass did you ride – from where to Goat creek? This is riding from Canmore up the Spray Lakes Rd to the Goat Creek trailhead.